If you wish to start a small business with relatively low investment, or are looking for some home based business idea; then here we discuss the various options you have to as an entrepreneur. Continuing our series of small business ideas and how you can make money from very little or next to nothing investments, we bring you some more ways you can start your business to generate a second income. Small business ideas or home based business ideas are something that anyone can start with small investment and slowly get the hang of it and expand. If you have missed the previous post, you can check here for how you can make money from nothing. Being an entrepreneur can be fascinating and also overwhelming at times and before you start, take a look here to be aware of the flip-side to starting a new business. People buy aquariums out of love for fishes or just as showpieces in their homes. Whatever the case maybe, aquariums need maintenance and not everyone who owns them, like to do that. 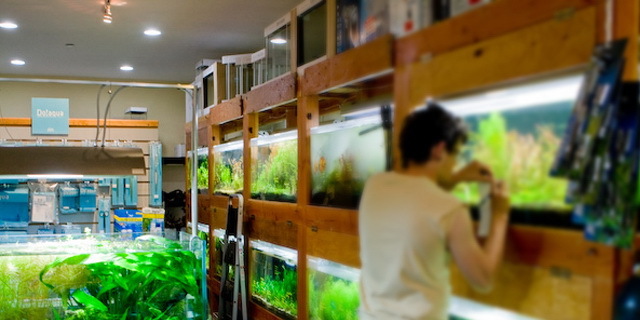 You can offer your services for aquarium maintenance, if you too are a fish lover and know how to deal with fishes. Initially you will need to network and market yourself hard since the aquarium suppliers themselves offer the maintenance services, but you can start with a lower quote. This is one cool business idea that requires just your love and knowledge about fishes and very little money, since the products you use to clean the aquariums are not very expensive. If it goes well you very well, you can start your own fish-aquarium supply and setup business. If you have some amount of cash to invest in a business you can look out for some franchise options by already established businesses. At times certain businesses require very high investments and hence their franchise may not be feasible, but there are certain products like ayurvedic products, ice cream parlours etc that require less money to take up their franchisee. Also there are options where in you can rent out certain products supplied by the company, and all you need is a place to store them. They will market and promote and have your place listed in their centres. These could be clothes, toys etc. Pet sitting may sound a bit strange, but it is a good small business idea if you think of it. If you love pets, then you can start this home based business since the investment is next to nothing. Generally when pet owners travel for vacations or other reasons they look out for people who can ‘baby-sit’ their beloved pets. You could be that person and charge a small fee for it. At times you do not even need to spend on their food as owners will provide their food packets to you. The only thing you need is a decently spacious house or a place that does cram up their pets and in case you live in a housing society, the society should give permission for the same. Also be sure to not mess with their pets. Clothes rental is a business in existence since ages and there are already big names in it. However with changing trends and new events and themes catching up, there is a dearth of relevant clothes. For instance an even called Comicon, never used to happen in India, but has been popular abroad for years. It is taking place in India for a couple of years now, and people require the weirdest of costumes and makeup for the event. Superhero costumes, body paints, temporary tattoos, custom made costumes and so on. Also with parents becoming more expressive about their kid’s birthdays and throwing theme parties, supplying different theme based costumes, or providing customized dresses is surely a cool business idea for the entrepreneur in you. Real estate is always a darling of many but not all can invest in it and reap the rewards of this industry. However, you can still be associated with it by being a consultant. There are prerequisites though. You need to obtain a license for being a real estate consultant and you have to be well versed in the surrounding areas. You will also have to network with other real estate consultants. Certain properties maybe available with others and when your clients need something similar, you will have to work with those consultants who have them, and share the commission. The standard rate of 1 to 2 % is what you can make on the total amount of deal. 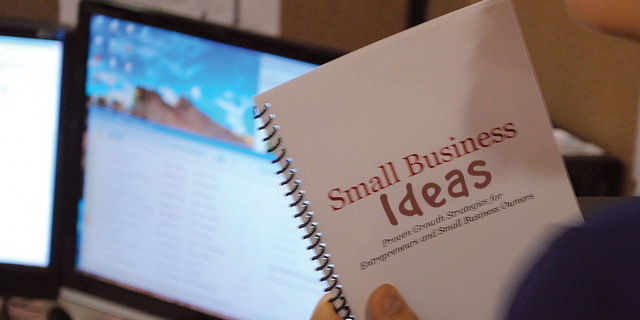 In the previous post on small business ideas, we touched on the topics of Blogging and SEOs. If you are someone who is interested in these but don’t have the time nor can find a niche you can target with your blog, worry not; just become an SEO consultant for others who need to start their own blog or need SEO advice. If you are well aware of how to start a blog, what is SEO, how to go about keyword targeting and build an audience, you can start to consult and teach people that. There is a huge population who wants to learn all this. If you want a home based business idea that can deal with supplying goods and services without having to rent out shop or showroom, ecommerce portal can be a good option. There various online stores and if you feel you cannot compete with them, then find a niche or something that these stores do not offer. Once you do that, building an ecommerce site is not that difficult. There are templates available that you can load on your website and you are good to go. Also for billing, initially you can provide cash on delivery option and then if the business picks up you can start online billing, by tying up with various billing portals. Another cool business idea is to organize and manage events like birthdays and weddings. Unique themes and ideas sell fast and if you can think out of the box and are able to find people who can customize your stuff the way you envision and have a logistic support, even management is a good option to start journey as an entrepreneur. You will need to have a good network of vendors and suppliers of various requirements from flowers to cake and all in between. Logistics and time management skills will take you far in this business. Again the investment is not that much. You can rent a small office and also a website where you can list your portfolio and communicate with the clients. Starting a home based business can be exciting as well as overwhelming as you encounter new challenges every day. However look at it as your opportunity to be an entrepreneur. The best small business idea is to start with something you love doing as the chances of you going farther in something you are passionate about are higher. If you have some small business ideas that you would like to share, feel free to post them in the comments below. I want to start toys wholesale business in Kanpur uttar pradesh. Kindly provide your valuable guideline. It is indeed a good option. As we know comedy is a very serious business and it is catching up in India too. And even if one doesn’t get a chance on Television – they can still get in the various online shows and stage play platforms. I am intrestd in birthday and wedding planing but i am employ so how i am start the bisness…you can rep mi..
Sir i want to start online selling product on snapdeal .i live in bhubaneshwar odisha.sir how to start business. That is a great thing. Snapdeal has their own helpline which guides people on how they can start selling online on their store. You can check their website for details. What is the scope of opening cyber cafe in rural area like varanasi in 2016 where mobile internet usages are increasingly rapidly. It depends on two things… how many ppl have internet at home and how many actually would go out and pay for getting internet outside on hourly basis. You need to take a survey to get an idea. I often got buissiness ideas flashes, one of those I started with, but some natural hazards, loss of people, loss of harmony in alliance etc. leads to failure. I don’t have penny left and other great thing is I’m a college dropout. Still got few new ideas in different sectors. what can I do with these. I’m also from a small town. Hi I want to start a paper based business with capital of Rs. 1 lakh. What business should I do. I have one lac , and I want to start up a business in westbengal. Of home made products. Which is the best products of business. i. Please suggest me what best home made products options is there or the best alternative plans to utilize that money. I am a housewife and i want to start small business . please advice me. I am 50 year old man and graduate from M.D.University in the year 1989. I did English Stenography course and worked in private sector as Steno from 1990 to 2005 in private sector and now I am working as Asstt. Manager (Purchase) in private sector from 2005 to till date. Now I want to do my own small business from home based. Please suggest me which sector will suit me for home based business. I have Desk Top Computer, Internet, E-mail and Internet Sevy. Know Word and Excel very well. I want to start Cash management service. Please help what i have to do. i am leaving in coastal area in karnataka at urban area .i am interested to start up small scale industries around 3 to 5 lacs monthly profite should be around 10 to 15 thousand. Something that utilizes the benefits of the coastal area will be a good choice. However if will all depend on what you like the most and what you are interested in. So until you do not streamline a few options, it is difficult for anyone to suggest anything. I am retired pharmacis and i want to start my own business in jamnagar in gujarat, kindly suggest any business ? You can choose a business that you think you understand and can handle well. It can be anything you are comfortable with and understand and can invest in. i want to do a small business, i can invest upto 3lacs. i have interest to do wholesale and retail clothing business. like pick goods from surat or other business areas and sell them to small shops in our area and also maintain a small scale retail shop. my friend can manage things related to customers. Could you please give me any idea????? The idea is good and the kind of investment you can make, you can certainly start the clothing business you want. Just initially don’t stock a lot of goods. Buy a few and then see what kind of goods are more in demand and what are less and accordingly increase or decrease your stock. So ideally invest only say 50,000 or so and buy some kind goods and see the response and then invest more. Use WhatsApp to grow your business and inform your contacts about your new venture, all the best! Hi I want to do electrical chimney cleaning and services and I don’t have experience in the field. How can i learn service and start this pls suggest. Get to know how a chimney works, what problems to existing chimney users face and what do they do get it solved. Then get in touch with those guys who repair the chimneys and talk to them and understand the mechanism of the chimney. Since you are not an expert in cleaning chimneys yourself, you will have to hire one or two people who can do the chimney cleaning work under you. This is how you can start. Firstly spread the word in your friends and family that you offer these services and then use whatsapp to do some promotion of your new venture. But before all that, as I said, you yourself need to understand how a chimney works and what typical problems users face before getting into the business. 1: Students project making-I can easily make projects for MBA college students…but from where to get the clients. 2: Apparels & jewelry selling- should I start it online or go for a physical store..which one is convenient and profitable. Not much money to invest. Please suggest if I can go for providing any other service as well. Both your ideas are good. Now the first question is, what will give you more enjoyment and happiness to pursue Option 1 or Option 2. After you have decided, the clients part can be solved in a similar way for both. Start with WhatsApp. Spread the word to all your contacts and urge them to share it forward that you have started this venture and can really help them out at reasonable prices – Be it the Project for MBA students or Apparels and Jewelry. Make a Facebook page and share it with your friends and adopt a similar strategy as you did for WhatsApp. Don’t invest anything till you get the first client. Actually you don’t need to invest. For Apparels and Jewelry, don’t do physical business. Opt for business through WhatsApp and Facebook. share images of catalogues that you can buy from a wholesaler and once you have an order, palce an order from the wholesaler and fulfill the same. As such any business can be profitable and any business can cause you huge losses. It depends on how you handle it and how you manage it. Having said that if you choose a business about something you like or are passionate about, then you will most likely succeed. Rather than picking something that is profitable for someone else, pick something that you are willing to put your time and effort sincerely for the next 1-2 years since setting up a business will take time and require lot of hard work, and if you love what you do, it will make it much easier. I’m pleased to see that you have been uncovering brilliant suggestions to almost everyone who posted on your blog. Now, I am very much expecting that you will also lend a hand of support to me. Although there had been couple of ideas in my head which I am just not able to get going maybe because I do not have the right setting around me. For an instance, I am good at speaking. I think there’s a huge amount population in any city in this country which is apparently not so outspoken and needs to work upon it, know for certain I would be a tremendous help to such groups if I get any. Secondly, I am great at organizing things within four walls. I KNOW HOW TO CLEAN THE MESS AND KEEP IT TIDY! Now when it comes to organizing, I mean I can also see visions for interior decorations. I do end up suggestion people some great ideas at times. And lastly as I’ve already written too much here, I don’t want to make situation hay-wired! I’d also like to add that I also tend to motivate people if they talk to me about issues. I just somehow do. So, if you can give me leg up here. I will be delighted. I really didn’t get what you expect from me. From what I understand is that you need some idea that would work for you. As you said and from what I understood from you comment is that you will be good at teaching soft and public speaking skills to people. You can start with personal coaching and grow from there. Along with that in your spare time take up consultation for events around you in your locality and manage their events etc and word of mouth will help you grow in both. That is what I think. You can start with buying smaller lots of clothes and promote your stuff via WhatsApp and other social media platforms. You can them based on demands and what people want, add or change your approach and goods. This should help. can you help me out in a business where i dont really depend upon people. currently i am a software consultant but i have seen in market people don’t pay for better services, they want to implement it everything but when it comes to payment terms they back out and the reason i dont want to relay on any person as because in this comparative market, no person will work with full effort, its like if someone offers him more salary he will leave the job and go towards him & again you client base is affected. so tell me a business where i really dont have to believe on employee & it should be some kind of specialization thing. if you can help me i would be more then happy . Fortunately or unfortunately for a successful business manpower in some form or the other is required. However if you are into Online SEO and blog/website market the advantage you have is you can hire interns to write content for you and you being a software consultant will be well equipped to handle the backend and running of the website. You can find interns who are eager to learn and also work hard for really nominal stipend over lot of websites like Twenty19 and Internshala. This is something you can try out, since with interns you can have a pool and if one intern leaves you have the other to pick and since they are not employees perse, you are free that way from a lot of obligations. From the ideas you have pick the one in which you think you are good at, or pick an idea that you think you will be able manage as well as enjoy. If you are happy in what you do, you will succeed. So based on your liking and comfort level pick an idea that appeals to you the most. Then take steps one at a time to grow it. Use Facebook, WhatsApp etc to spread the word about your new business and this way you can tell people about your business and get clients. You can even start a blog to make money online. It is simple and can be started in like under 5-10 mins with very little investment. I require suggestions as what to sale online ie. Fast moving goods online market. There exist any govt. policies to for funding women entrepreneurs then pls let me know how I can be benefited.I can invest only very small amount initially. Help sought in setting up business. I am eager to start a small scale business at salem (Dt)of attur. I would like to hear other suggestions for small scale business. need your guide. Sir. I am electrical person retired what business can I start from home with low investment, in Goa many thanks. I want to start a online business model with specific services in our city as a part time business. Worked out all its estimated investment, revenue model and growth factors. I need a partner who is good in website development on any platform. Anyone interested in it, kindly mail me on it will be good if he/she is from Nagpur/Bhandara region. I am a Electrical Engineer and want start my own business. I am intrested in starting my own business. I am eager to start a small scale business. I am thinking to start Mongini’s cake franchise. As I inquired in market regarding capital. I’ve sufficient capital. but I want to know how to start a franchise business? And the risk related to it. I would like to hear other suggestions for small scale business. need your guide. Congratulations on your decision to start your own business. The good thing about a franchise business is that, it already comes with a brand name and to an extent the marketing and other promotional costs are taken care of by the brand in itself. As far as guiding you with the business is concerned, the brand in itself; in your case Monginis, will help you set up everything and also guide you through their process. So you can relax on that front. As far as risks are concerned, well that purely depends on the area where you have started your business. If there is no decent cake shop in some distance, then you can be rest assured your business can pick up well, provided there is a demand for cakes. The other thing is how good are you with service and dealing with customers that will also determine the future. At worst the business may not pick up, then in that case you need to decide a time frame till which you can stick around and give the business a chance to pick up. If you feel you are not able to stretch your financial resources beyond a point, then you might have to look for the next step. Actively promote your business with low cost things, send whatsapp messages to people in your locality or in your phone list informing them of your new venture etc… then focus on good service; word of mouth publicity will help in that case. All the best! we are into hygiene home care products and we grab good market share in goa now we want to expand our reach . can you suggest me some unique idea to brand my products outside goa . The cost effective way for you would be to spread it through online medium. Site like Flipkart, Amazon, Snapdeal and a lot others, are always on the lookout for sellers. You can contact them through their contact us section and they will guide you through how the process works. This was you will be able to reach out to other parts of India with very little investment. You can also then have your own website and sell online through there. For now these are the cost-effective approaches. Your interests and your area of expertise and comfort are best known to you. So I cannot suggest ideas since I wouldn’t know what you would like to do or what not. The simplest way is to explore the options I have covered in my post and see if any of those interest you and then pick one and start. but there is too much pressure. i want start my own business. how can i earn money online. plz suggest me. Starting your own business will also have its own pressures. Online business will also require marketing and promotion and you will have to set goals for yourself, and if you cannot achieve those your business will suffer. So if you are concerned with pressure, I am afraid even business will have its own pressures. i want to start home based online or offline job, from which i get some money . but i don’t know the exact or authentic website from where i can start my business…. plz help me as soon as possible ….I ‘ m from Durgapur(west Bengal) my typing speed more than 25wph.. But how many can actually afford to invest in real estate? Especially metros. Secondly even when the real estate market is seeing a slump and builders borrowing at as high as three percent…. Still they are not ready to cut prices leading to a further problem in the real estate market. This is more true in the metros compared to smaller cities. But affordability is an issue in real estate investment. The ideas discussed in the posts are pretty much the same that I can suggest. Pick something you like and will be able to handle doing in the long term. All the best!!! i am in final year b.com and after that i am looking for starting my own business. but i don’t have much finance. so can u tell me which type of business i should start with low investment cost ? You can look at something that is web or internet related, since that is something that requires very low investment. You can start a blog of your own and pick a topic that you feel people will come to you blog to read, then grow that and that is how you can go about it. There are numerous tutorials on internet that will show you that. How to make money from a blog or how to start a blog. but i am not interested in this type of business. suppose i can invest 5 lakhs then wht type of business u will suggest me ? i am interested in outdoor business. i dnt want to sit at home. I have three lacks, and I want to start up a business in Mumbai or in Delhi. Please suggest me what best options is there or the best alternative plans to utilize that money. And it’s not my money, so I need to include other partners as well in this. Request you to help me. i dont know but i can find a business venture itself on your website that every body is confused about the business to be started within limited funds but if we all can collaborate and help each other and start a new business so that the problem of funds get over and we could unitedly work for making our business a succesful venture. For the past 2 years I have studying different blogs about starting business , but till now none came to my mind , many of the ideas are already in the market. can you plz help me to start with . Ideas are always there, they will always be there; the trick is to how you can be different, better than others. There are so many soaps in the market, there are so many cars, still we find newer ones coming every now and then. It is all about how you can distinguish yourself from someone else. Pick anything that you are comfortable and know that you could understand it and stick to it for the long run and start. Good Luck. The kind of business you wish to do is something that only you can decide, depending upon your area of expertise and knowledge or something that interests you or your are ready to learn. So in that case you are the best judge. I am working in a company for 8 hour, still i want to do samll scale business from home. I am good in decoration idea but not i have support and so money. kindly suggest me business and any contact person who can help to develop and support. i a beautician but i have no money to start own buisness .please suggest me home based work near chandigarh. You can start it in your home, with some small investment in your products that you need. You can also start home visits for the same till you are stable to start you own thing at your place and have a good client base. Hope this helped. I am planning to start a new born baby products bussiness from home.Can you please suggest me on how to do good in it. Start it via what’s app and make a Facebook page and share it with your friends and ask them to share it further. Slowly slowly you will see people buying from you. Later on you can launch a site after the necessary registrations etc. Hope it helps. First of all congrats that you are willing do something of your own. It is very good. secondly thanks for coming to this site. As far as selling patiala salwars online goes, Firstly try word-of-mouth by telling all you know that you are starting this venture. Secondly you can use sites like Olx and Quikr to put free ads about your work and put up photos, you can get contacts from there too. People also use Facebook for posting such new businesses. Search for Facebook groups for clothes business and join them. Whats app photographs of salwars you have stiched to your groups. Slowly slowly it will catch up. Then you can get a website made for your business and grow. Hope this helps, all the best for your venture. thanx a lot for encouraging me.i will keep your suggestions in mind . i found nothing in my favor and this doesn’t seems to be my thing. I need your suggestions for start a new business. please help me . What is your area of interest or expertise, it depends on that what business you can start. Pretty Insightful article I must admit. Thank you. I have been associated with Real Estate for less than six months.Can you please substantiate the pros and cons of being a real estate consultant in details. I would really like to give it a try. Appreciate for your instant reply for the queries asked. All your replies are really worth and helping to the people who wants to start new ventures. Kindly suggest me to start a home based business in any field, am having an experience of 10+ years in office administration. It depends on what you are interested in. You need to be sure of what you are interested in or what you can handle or learn. It could be consulting or something entirey different from your current field. Setting-up a business will take time skill and patience. I’m from IT background having 5 years of experience. I want to start business from home, but no idea about what to do and how to do. please suggest me. 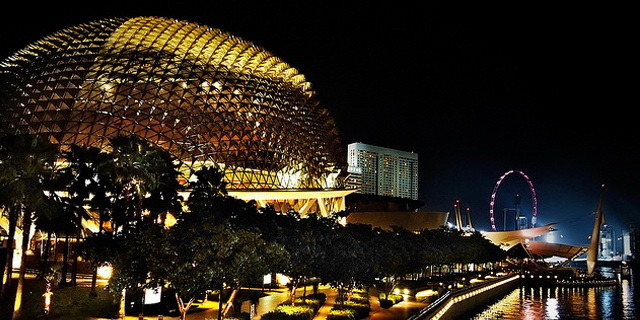 I can suggest you try something related to online venture or web technology. i am electrical engineer . i want to start some business in Gwalior.kindly provide some sujjections. Hi, I have a 6 months old daughter. I want to start a small business. Pls. Suggest some business. Or how I can earn money form internet/ online jobs. There are a lot of options you have for earning from home. There are various facebook groups that you can join which have work from home opportunities. Some of them could be frauds so you need to guard against sharing too much information. However some reliable ones are fleximoms, work from home,wherein you can find various opportunities for home business as well as jobs. Also google for Sheroes, a website that has lot of work from home and part time opportunities. Also if you like cosmetics and are good at networking you can become a member of avon or oriflame, wherein you can have a small home based business of cometics and personal care products. They guide memebers how to carry out business so that should help. If jwellery is your thing there is Juvalia, a company similar to Avon and you can check that too. If you are good at some skill, how about teaching it to others? It could be any art form or cooking baking etc. If you are good at writing you can get some freelance content writing work. Check out skillpages.com for this kind of work and also check out freelancewriters, a blog for the same. Hope this information helps. All the best. Firstly if you are planning on starting a business, then you should have the knowledge in the area. You may not be an expert to start with, but you need to know what needs to be done and when. You also need knowledge to know whom to hire or collaborate with. So yes if you do not have knowledge on that area doing a course and studying onthe subject is a must to be successful, or to sart atleast. You will learn with experience, but to start with you need some sort of information in the field of your business. Finding like minded people is easier these days. There are forums, groups online where in you be a part and network with people. To start your own business, you need to be sure of your area of expertise, something that you understand and can handle in the long term. Since if you start a business of something you may not understand or like to do in the long term it will affect your business. If you can identify the area or field that you like, then you can go ahead in that. I am virendra from mirzapur (uttar pradesh).I want to open a business but i can invest only 1L rupees.please suggest me a best business opportunity.where i want to open my business its a rural area. You can identify the area, field or service that lacks in your area. Something that others are not offering. Once you do that you will have to learn about it and understand how it works. It can be anything that is legal and brings you an opportunity where no one else is. If you can identify such a field you can start your business on a small scale and grow from there. can u tell me how can i start my business with a low exp. Thank you for your interest in the site. Firstly identify the area where you plan to do business or are aware of. Once you are done then do some market research as to how you can be different from the competition and take it from there. It may take time to set up and grow, but the idea is to not give up hope and keep doing your best. All the best for your venture.